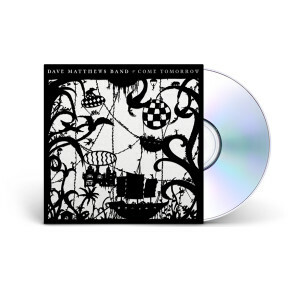 On June 8, RCA Records will release Dave Matthews Band’s long-awaited new album Come Tomorrow. Come Tomorrow is the band’s ninth studio release and its first since 2012’s Away From The World, which debuted at No. 1 on Billboard 200. Working between tours at studios in Seattle, Los Angeles and Charlottesville, Dave Matthews Band chose to record with several different producers, including John Alagia, Mark Batson, Rob Cavallo and Rob Evans. The cover art for Come Tomorrow is by Béatrice Coron, who creates narrative allegories in silhouette to render archetypal stories. Dave Matthews Band will be previewing songs from Come Tomorrow during its North American tour, which kicks off on May 18 at Cynthia Woods Mitchell Pavilion in The Woodlands, TX.